Slimy, Creepy, Crawley BUGS! BUGS! BUGS! Stop by Club Kids this week as we explore the wonderful world of BUGS! We will have crafts, books, sensory, exercises and more all about bugs. Bring your little ones by for a fun time while you enjoy a bug-free & kid-free work out. 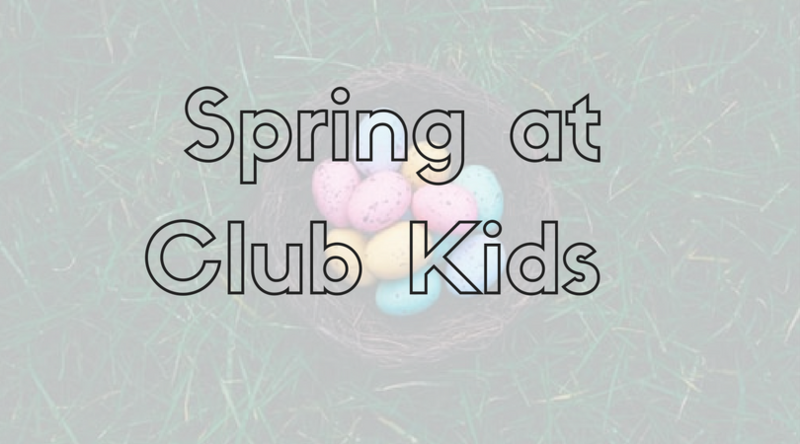 It’s going to be an “EGGS-tra” fun week at Club Kids! While mom and dad are upstairs exercising, the kids will be doing crafts, work outs, reading books & more all about Easter. We will even have Egg Hunts each day. Don’t miss out on the fun!